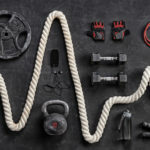 There are hundreds of products on the market, but we have narrowed the list down to the top 10 bodybuilding supplements backed by science to achieve your goals. Green tea is made from the dried leaves of the Camellia Sinensis plant. Compared to black tea and oolong tea, green tea contains the highest amount of green tea catechins, the major polyphenols in green tea that constitute about 35% of its total dry weight. A 2-gram bag of green tea contains about 500 mg of green tea catechins. The most abundant green tea catechins are (−)-epigallocatechin gallate (EGCG), which account for about 68–69% of green tea catechins. Green tea is a powerhouse antioxidant that has been consumed for thousands of years. The health benefits of green tea are numerous and have been linked to a broad range of different health benefits such as an increase in antioxidant potential, a reduction in the mortality rate from cardiovascular disease, a reduced development of coronary artery disease and a lowering of plasma cholesterol. Green tea does contain antioxidants that can be invaluable to the bodybuilder. After intense resistance exercise, muscle fibers are damaged at the molecular level, causing free radical production. 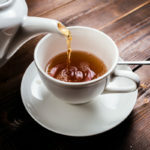 Green tea has been shown to suppress inflammation that can negatively affect muscle growth; moreover, a previous study has shown that green tea extract can also suppress cortisol levels. Several systemic reviews have been published in the past four years. Based on a meta-analysis of 11 studies examining the metabolic effects of green tea, it was concluded that catechins or an EGCG-caffeine mixture contained in green tea had a small impact on weight loss and weight maintenance. 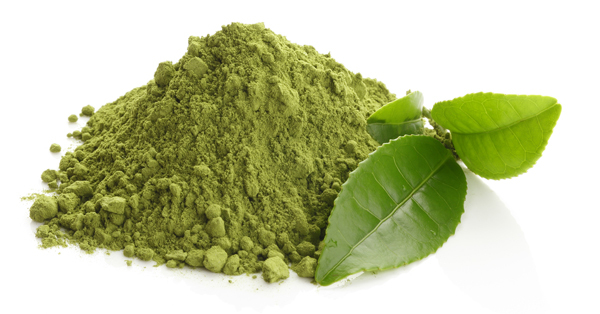 Previous studies have found that green tea extract has a synergistic effect with caffeine. It was reported that participants who received green tea catechins in combination with caffeine experienced decreased body weight and waist circumference, compared with the control groups containing similar amounts of caffeine. Fat oxidation has been shown to increase after short-term green tea extract ingestion after one bout of intermittent sprinting exercise. One study also found that there was a significant increase in fat oxidation post-exercise after green tea extract consumption compared to at rest in the placebo condition. The branched-chain amino acid L-Leucine appears to be the primary nutritional regulator of muscle protein synthesis via direct activation of the nutrient-sensitive mTORC1 signaling pathway. L-Leucine is the primary branched chain amino acid known for the ability to support protein synthesis and help slow the catabolic process. Leucine is probably the most well-researched amino acid to date for increasing protein synthesis. For example, leucine, but not isoleucine or valine, can stimulate an increase in muscle protein synthesis through activation of the mTOR pathway in animals. 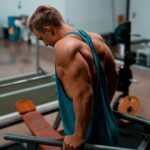 mTOR is such a potent activator of muscle growth; scientists have reported that if you block mTOR with the drug rapamycin, muscle growth is completely inhibited despite muscle overload. Leucine is like the gas pedal for stimulating protein synthesis. To demonstrate the potent muscle building properties of leucine, nine trained men performed three lower-body resistance exercise sessions involving four sets of 8–10 repetitions at 75%–80% one repetition maximum on the angled leg press and knee extension. Blood samples were obtained pre-exercise and at post-exercise, 2 and 6 hours post-exercise. Muscle biopsies were obtained pre-exercise and at 2 and 6 hours post-exercise. The good thing about leucine is that you don’t need a big dose to get an anabolic effect, roughly 3 grams seems to stimulate protein synthesis maximally. For bodybuilders looking to remain anabolic, one may consider taking some leucine throughout the day, even if it’s a small amount. The amount of leucine necessary to optimize performance and muscle growth is unknown, but recent research in a human’s point to a plateau effect (at least on muscle protein synthesis) occurs around 3 grams. Thus, there is a ceiling effect, so more is not going to have better results. Today, we have a widespread depletion of minerals and other nutrients in crop soils, resulting in deficiencies. Without adequate minerals, vitamins become worthless, and the average American diet consists of mostly processed, genetically modified, refined, transported, stored, cooked, and packaged food that no longer has integrity. With that being said, taking multivitamins should not make up for nutritionally poor meals. A whole foods diet should still be the foundation of nutrition. Whole foods provide the best synergies of nutrients and create in you a life force that can never be replicated by swallowing a few capsules. Supplements should be what the name implies – something you take to complement a whole foods diet. Some people may think that their food supplies all the vitamins and minerals they need, but a recent study suggests that a good multivitamin can slash the risk of death in men and women. A survey of nearly 9,000 adults followed the participants for almost two decades to see whether or not multivitamin usage played a role in heart health. Amongst women taking multivitamin supplements for at least three years was an association of a 35 percent lower risk of dying from heart disease. It’s interesting to note that only those taking multivitamin-mineral supplements experienced the benefit—taking them for three years or more. This suggests the minerals may be of crucial importance, and also that it’s not a quick fix or a cure-all by any means. 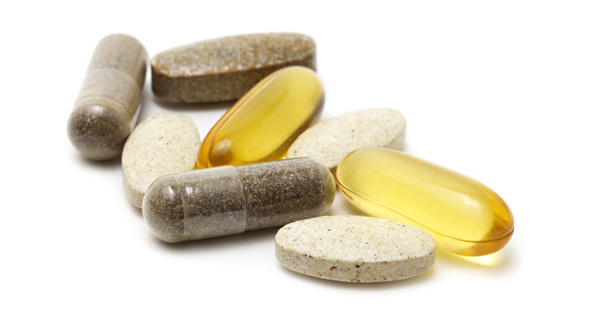 Dietary supplements are intended to be just that—a supplement to a healthy lifestyle. 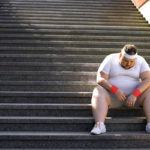 Exercise stresses many of the metabolic pathways where micronutrients are required, and exercise training may result in muscle biochemical adaptations that increase micronutrient needs. 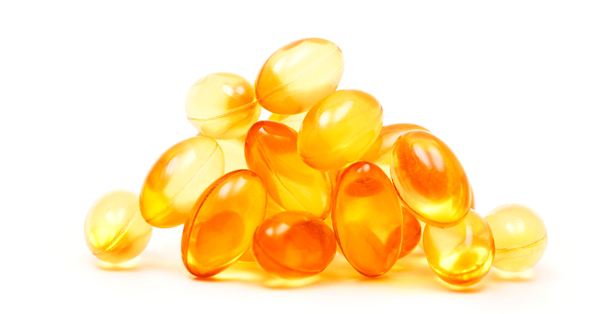 The most common vitamins and minerals found to be of concern in athletes’ diets are calcium and vitamin D, the B vitamins, iron, zinc, magnesium, as well as some antioxidants such as vitamins C and E, β-carotene, and selenium. Vitamins and minerals play both direct roles in brain function as well as indirect roles, for instance via their involvement in energy metabolism and the modulation of blood supply in the brain. With regards to cellular energy production, most of the 13 vitamins and some minerals play direct or indirect roles in mitochondrial function. This means that vitamins and minerals are essential for general health. A high-quality multivitamin and mineral supplement can also enhance metabolic rate. For example, one researcher who examined the effect of 26 weeks of supplementation with multivitamins/minerals found that micronutrient supplementation was associated with a significant increase in resting energy expenditure and fat oxidation. β-Hydroxy-β-methylbutyrate (HMB) is a metabolic derivative of the amino acid, leucine. HMB is known to increase muscle protein synthesis through mTOR signaling pathways while concurrently reducing catabolism. It can be found in nature, but it is difficult and impractical to get on a regular basis, for example, 3 grams per day. Therefore, supplementation may be beneficial for strength training practitioners or those under extreme muscular stress who want to improve athletic performance. 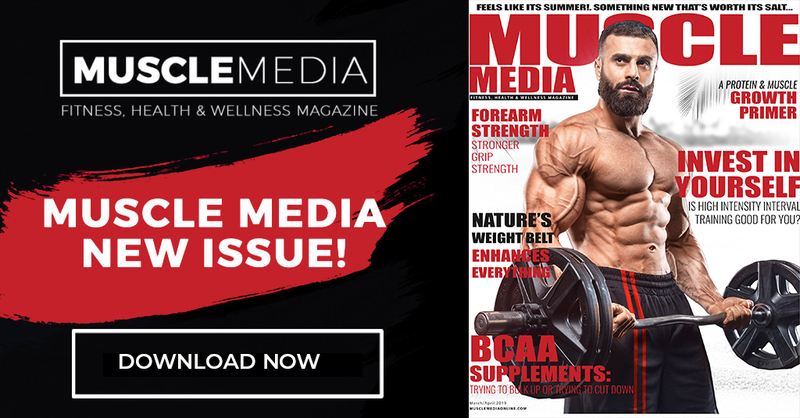 If you look at the research, there is a staggering amount of research to support the validity of HMB for increasing lean muscle mass and improving performance. Recently, an 18% increase in strength gain was demonstrated following 12 weeks of HMB ingestion compared to placebo in experienced resistance trained men. 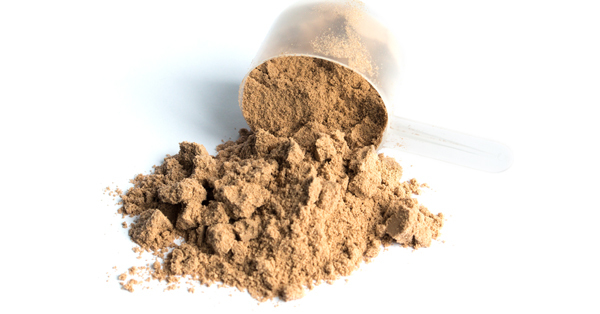 HMB has been found to reduce catabolism and increase lean muscle mass. Tribulus Terrestris is a vine plant that is native to temperate climates in areas of southern Europe, South Asia, Australia and Africa. It has a long history of uses, from promoting muscular development to supporting overall health. Tribulus has been suggested to support levels of testosterone while simultaneously supporting energy levels, recovery time, and muscle gain. Several studies have also found that tribulus has synergistic effects with other nutrients to help support testosterone. Tribulus Terrestris revealed many compounds including steroidal saponins, flavonoids, alkaloids, and amino acids. Previous studies demonstrated that Tribulus Terrestris extracts improved exercise performance of rats with high-intensity endurance training and overload training by increasing plasma level of testosterone. New research suggests that Tribulus may reduce muscle tissue damage. Researchers had subjects perform intense exercises while consuming Tribulus, At the end of the study, markers of muscle damage were reduced, and anaerobic performance was increased in those subject’s who took Tribulus Terrestris extracts during high-intensity training. The newest study reported this month in the Central European Journal of Sports Sciences and Medicine reported that Tribulus could increase anabolic hormones in middle-aged men. The research involved 14 men between the age of 45 and 60 years. The duration of the experiment was 12 weeks. Two capsules were ingested in the morning on an empty stomach (600 mg) and one at bedtime (300 mg). From weeks 6 to 12, six capsules (1,800 mg) were ingested per day in split doses. During the 12 weeks of the experiment, all subjects participated in a physical activity program. At the end of the study, Tribulus Terrestris supplementation in a group of middle-aged men caused a statistically significant increase in resting T, GH, and IGF-1. Fenugreek is an herb that is commonly found growing in the Mediterranean region of the world. While the seeds and leaves are primarily used as a culinary spice, it is also used to treat a variety of health problems in Egypt, Greece, Italy, and South Asia. Fenugreek seeds have been found to contain protein, vitamin c, niacin, potassium, and diosgenin. Other active constituents in fenugreek are alkaloids, lysine, and L-tryptophan, as well as steroidal saponins (diosgenin, yamogenin, tigogenin, and neotigogenin). Fenugreek glycosides are reported to be major components of the health benefits of fenugreek seeds. In 2010, researchers reported fenugreek increased bioavailable testosterone. Thirty young strength athletes were the test subjects for this study. Half of them took a daily 500 mg fenugreek extract for eight weeks. The other half of the group were given a placebo. In the eight weeks the study lasted, both groups increased their strength by about the same amount. The lean body mass increased in both the placebo group and the experimental group by 1.6 kg. The amount of bio-available testosterone increased by 26 percent in the fenugreek group. In a different study, conducted by the Journal of the International Society of Sports Nutrition, researchers analyzed fenugreek’s effects on strength, body composition, and power output. At the end of the study, 500 mg of this proprietary fenugreek extraction had a significant impact on upper and lower body strength and body composition in comparison to placebo in a double-blind controlled trial. A new study conducted by researchers in India suggests that fenugreek can enhance testosterone levels in resistance trained men. Sixty healthy male subjects were randomized to ingest capsules of fenugreek (one capsule of 300 mg, twice per day). The subjects participated in a supervised 4-day per week resistance-training program for eight weeks. At the end of eight weeks, fenugreek supplementation demonstrated significant anabolic and androgenic activity as compared with the placebo. Fenugreek treated subjects showed significant improvements in body fat without a reduction in muscle strength or repetitions to failure. The results of the present clinical study demonstrated that fenugreek offered beneficial effects regarding repetitions to failure in leg press and free testosterone levels as compared with placebo. 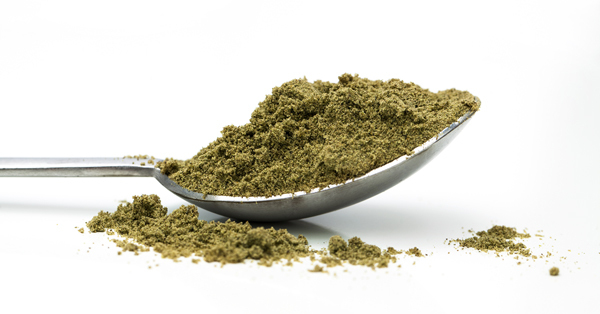 The fenugreek supplementation was found to be safe and well-tolerated. The researchers concluded that fenugreek supplementation showed beneficial effects in male subjects during resistance training without any clinical side effects. 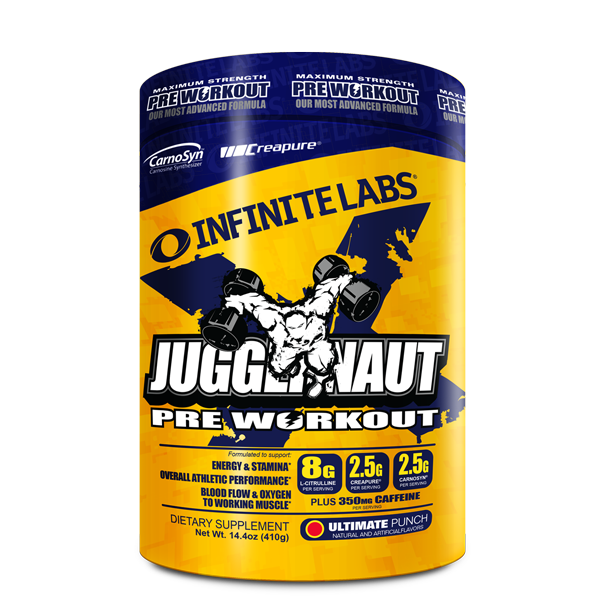 Juggernaut X from Infinite Labs has been designed to provide users with a unique pump. With included ingredients such as Agmatine Sulfate, Citrulline, CarnoSy, Malic Acid, Caffeine, Tyrosine, and Creapure. This unique formula combines all of the necessary pre-workout ingredients to ensure you receive the ‘boost’ needed for that optimal training session desired by many athletes and bodybuilders. Juggernaut X has 8 grams of citrulline, 2.5 grams of beta alanine, 2.5 grams of creatine, 1 gram of Agmatine,1 gram of tyrosine, and 350 mg of caffeine per serving. At the end of the study, both beef protein isolate and whey protein isolate each led to a significant increase in lean body mass compared with baseline. Fat loss was also significantly decreased at eight weeks compared to baseline for beef protein isolate and whey, 10.8%, and 8.3% respectively. Overall, the results of this study demonstrate that consuming two servings of either beef protein isolate or whey protein isolate following resistance training lead to significant increases in lean body mass and strength. So this is great news for beef protein isolate, given that some people do not tolerate whey protein isolates due to lactose intolerance, beef protein isolate can be a suitable alternative. Conjugated linoleic acid (CLA) is a naturally occurring fatty acid that is found in meat (beef and lamb) and dairy products (milk and cheese). CLA works by reducing body fat by preventing fat accumulation in fat cells. CLA inhibits the activity of the enzyme lipoprotein lipase (LPL). This enzyme transfers fats from the bloodstream to the fat cells. As a result of the decreased enzyme activity, the transport of fat is blocked. At the same time, CLA also stimulates the breakdown of stored body fat (lipolysis). A 2007 study from the University of Wisconsin-Madison confirmed that CLA supplements increased calorie and fat burning during the night by almost 15% as compared to the control group. 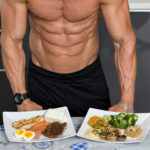 Over time, the small increase in fat burning that occurs during sleep can lead to a significant loss of body fat. A Norwegian study documented significant body-fat loss with just 1.8 grams of CLA per day. Subjects taking CLA experienced significant reductions in body fat, whereas the placebo subjects showed no change in body fat. To get 3 grams of CLA from your diet, you would have to consume 7 pounds of grass-fed beef or 4 gallons of milk to get the equivalent of 3 grams of CLA. Most people think that they can get adequate amounts of CLA from the diet but according to current research, 3 grams per day (or 3000 mg) is the minimum dosage of CLA in clinical testing found to provide a substantial weight loss effect. Creatine plays a significant role in rapid energy provision during muscle contraction involving the regeneration of ATP. Creatine has become the most widely researched ergogenic aid to date, and the research is overwhelmingly clear that creatine not only increases muscle strength but also increases muscle recuperation and may boost muscle growth in ways scientists never knew. A previous study reported that now creatine does what no other supplement can do; creatine lowers myostatin. Myostatin is a gene that decreases muscle mass and puts the brakes on muscle growth. In a study in the Journal of Molecular and Cellular Endocrinology, researchers found that creatine supplementation added to resistance-training decreases the muscle wasting gene myostatin, increasing the effects of exercise on muscle strength and mass. Remember, by suppressing the myostatin gene, this removes the brakes on muscle growth and provides a more anabolic environment. 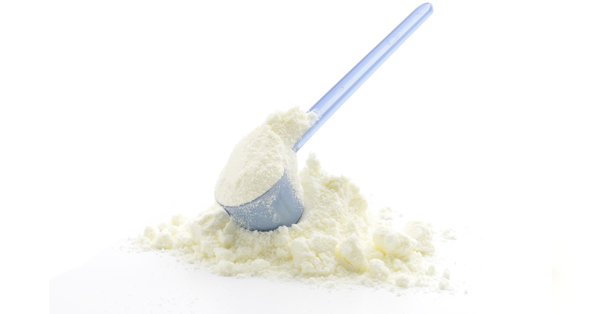 Other studies have reported that ingestion of creatine enhances the muscle anabolic gene IGF-1. Just when you think creatine can’t get any better, it does! 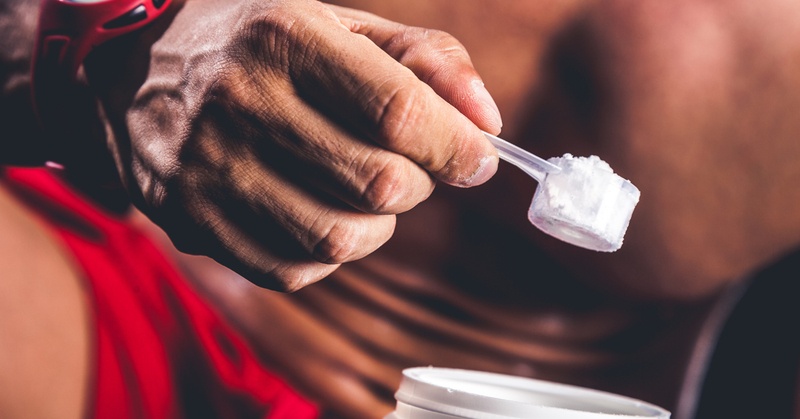 Results of another study suggest that more than five days of creatine supplementation, associated with resistance exercises is sufficient for increasing testosterone concentrations and decreasing cortisol levels. Creatine may also be a useful dietary supplement for preventing muscle damage and facilitating recovery from high-intensity exercise, which applies to the sports rehabilitation field. A new study in 2016 reported that the muscle recuperating effects of creatine might be attributed to increased glycogen replenishment. 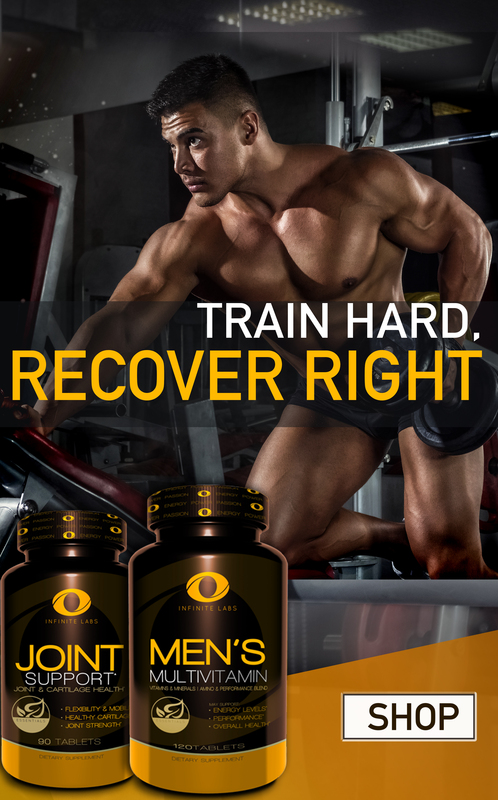 Researchers found that dietary creatine supplementation markedly enhanced post-exercise muscle glycogen storage above placebo during a conventional ‘carbohydrate-loading’ regime and that this augmentation of glycogen storage occurred almost exclusively within the first 24 hours of supplementation. The magnitude of glycogen re-synthesis during the first 24 hours of supplementation was ~82 % greater in the creatine group compared to a carbohydrate only group. 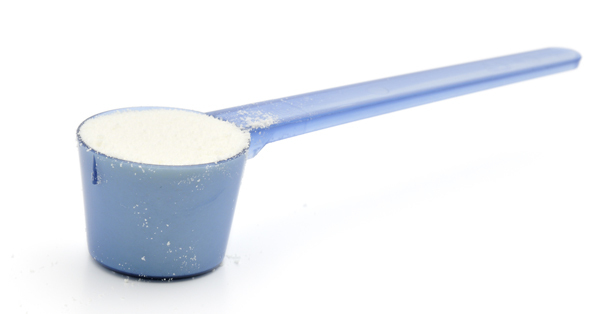 Creatine is the one supplement that most lifters should be taking year round.